The leader in composite decking never fails to bring more to the table with a bunch of new products. Trex continues time and time again to show why it excels above the rest of its competition with the continued introduction of fantastic new products. Trex has continuously updated their lineup of products to better serve their customers and a wider audience. 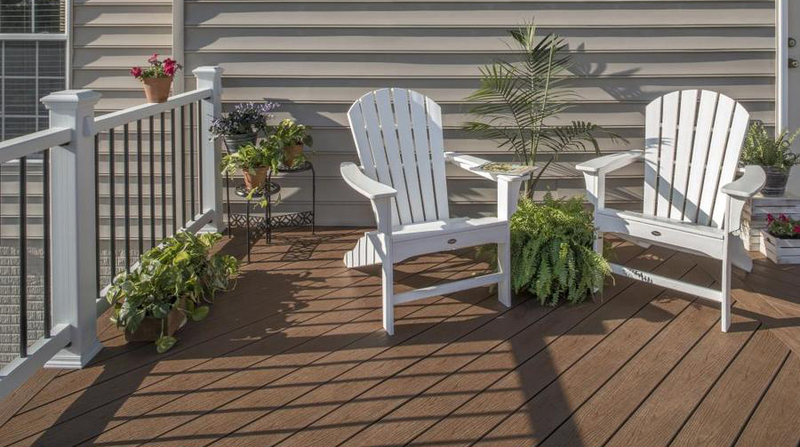 To attract more buyers, they have introduced an entry-level ultra low cost deck board that is priced like pressure treated lumber called Trex Enhance Basics. They also introduced some beautiful glass panels for the Transcend rails, and new decking colors for their mid range Enhance Naturals and top-of-the-line Transcend line. In the past, there has been a big price difference between a pressure treated deck and one that is composite. That is no longer the case as Trex’s Enhance Basics bridges that gap and makes composite decking affordable to the masses. Coming in at material costs equal to that of a standard pressure treated deck, Trex made it possible for everyone looking at building or resurfacing a deck to go composite. To keep cost down, they smartly scalloped out the undersides of the boards to use less material. This savings in material along with limiting the number of colors to three, helped them bring the manufacturing cost down so that it's priced like pressure treated lumber. 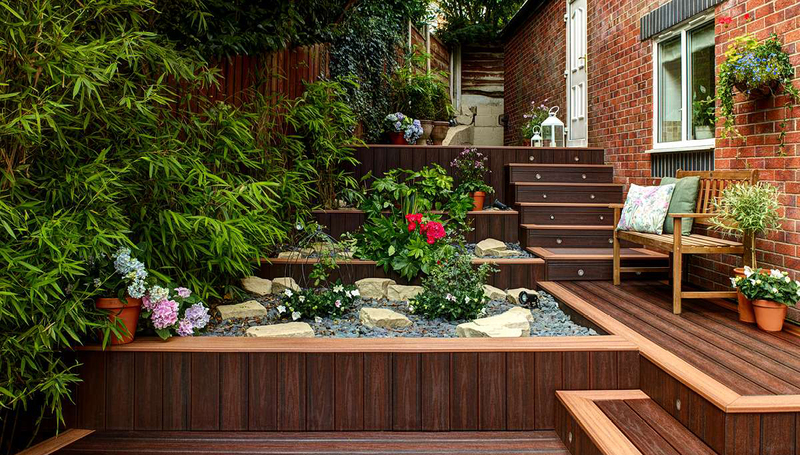 Like all Trex decking, it’s made with 95% recycled materials, plus its lighter which means it is easier to handle and install. Enhance Basics comes in three colors including; Beach Dune, Clamshell and Saddle. 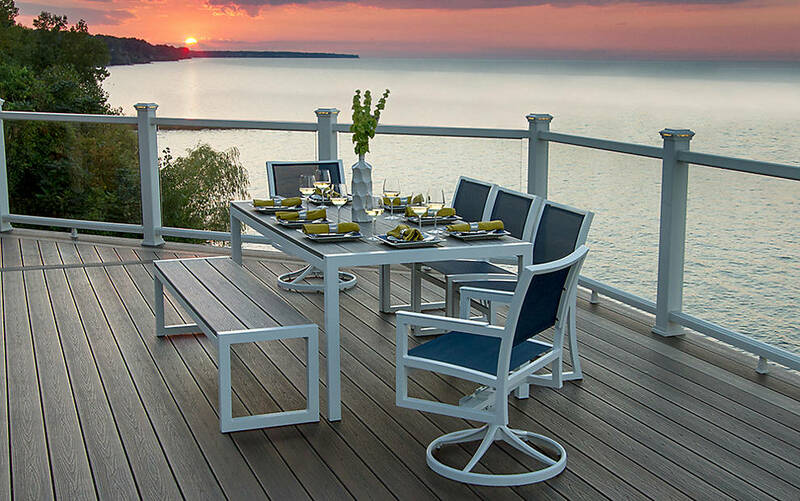 At the top of Trex' lineup is Transcend decking, the best of the best. 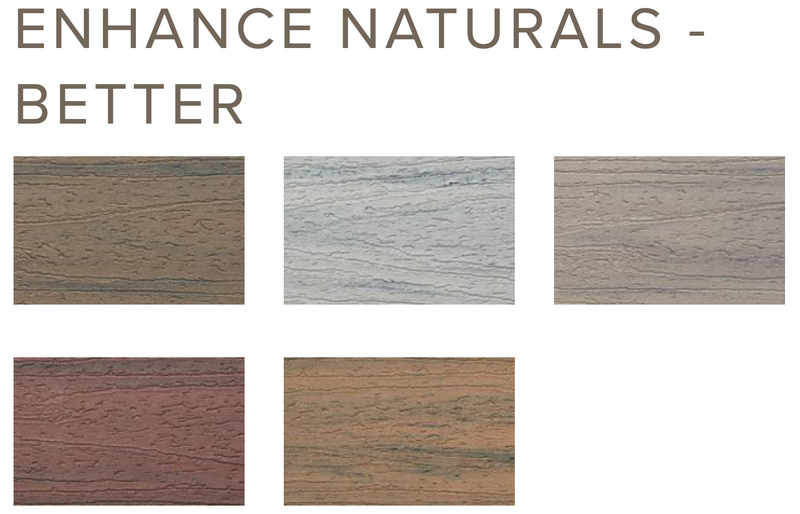 It's known for its deep wood grain in luxury colors that everyone loves. Its bendable, curvable, and of the highest of quality. Its price tag is well worth the extra cash. 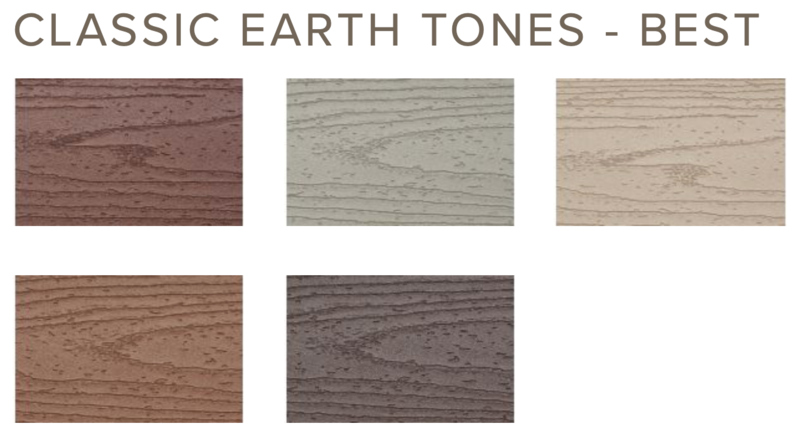 Trex recently updated their color palette to consist of ten total color options by adding 5 monochromatic "Earth Tones." 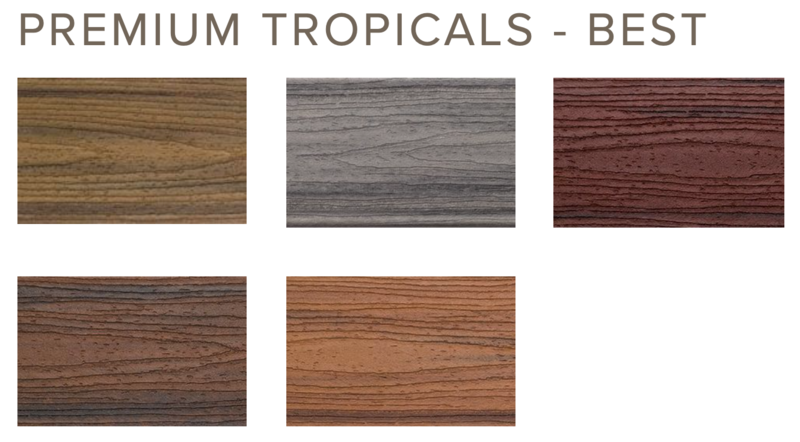 With the addition of Earth Tones to their multi-tonal Tropical color lineup, there is complete creative freedom to build a deck in the exact colors you would want. Whether multicolor, or one color on the perimeter and one field color, you can mix and match the Earth Tones and Tropicals. Being the top-of-the-line from Trex, you know you're getting the quality and reliability that Trex has become known for. Trex also expanded their mid-range selection by adding Enhanced Naturals. This collection that utilizes the same scalloped board design as Enhance Basics, but with more natural tonal colors that mimic real wood. The new colors Trex added are Coastal Bluff, Foggy Wharf, Rocky Harbor, Sunset Cove, and Toasted Sand. All feature a refined wood grain and as always, are backed by Trex's 25 year limited Fade & Stain warranty. A beautiful option that was recently added to the Trex Transcend Railing line are the glass panels. 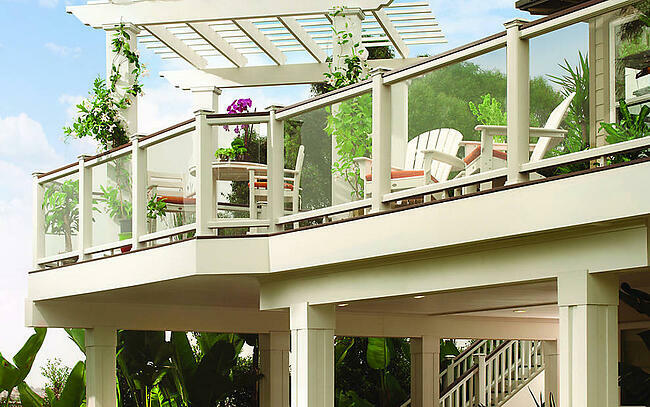 These glass panels finish off decking projects in a unique way that allows to have almost unobstructed views with a nearly invisible look, yet the safety of a railing. As TrexPro Gold builders, we recently visited the Trex factory, where we learned about Trex's commitment to continual investment in engineering and product enhancements so that they stay ahead of the curve, as number 1 in the composite decking industry. We are happy to partner with them, and can't wait to see what comes next!